I&apos;ve always loved the look of a bell sleeve, but had trouble making the oversized, structured iterations that started popping up last spring work for me. 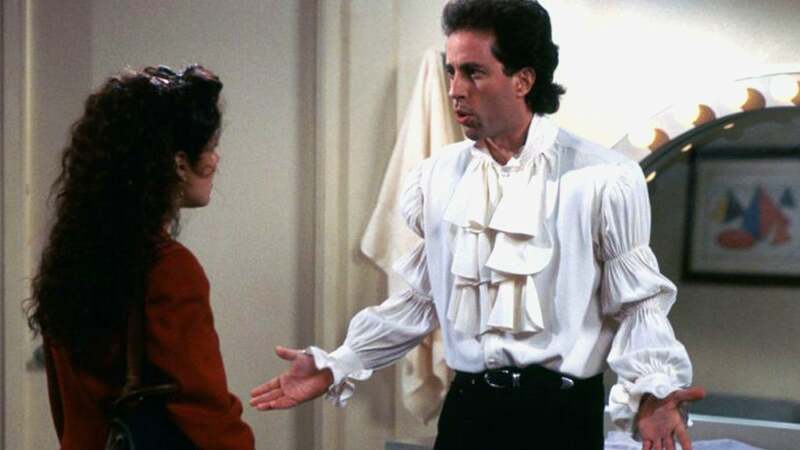 My own attempts to emulate this look from Milan Fashion Week were downright comical (and not completely dissimilar to the infamous pirate blouse from Seinfeld). 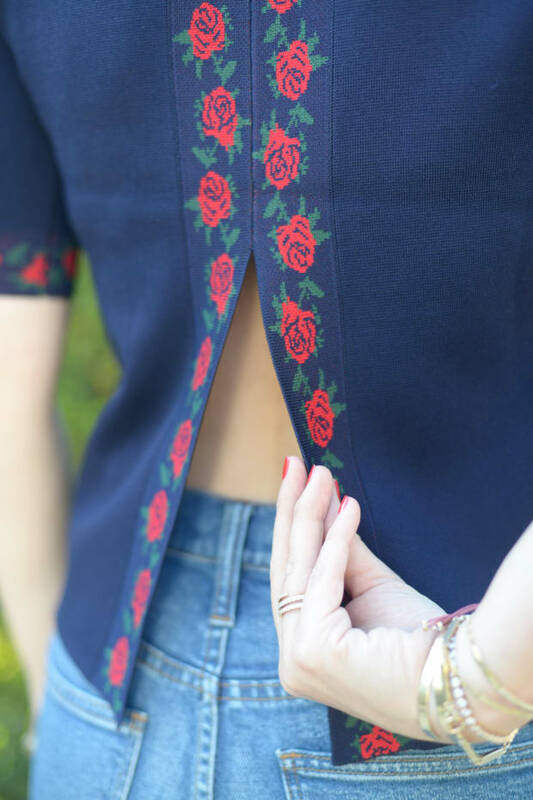 When I saw this top, I knew it was just the thing to strike the balance between eye-catching and wearable, without being too ambitious. The fluttery sleeves add some cascading femininity to an otherwise tailored outfit. 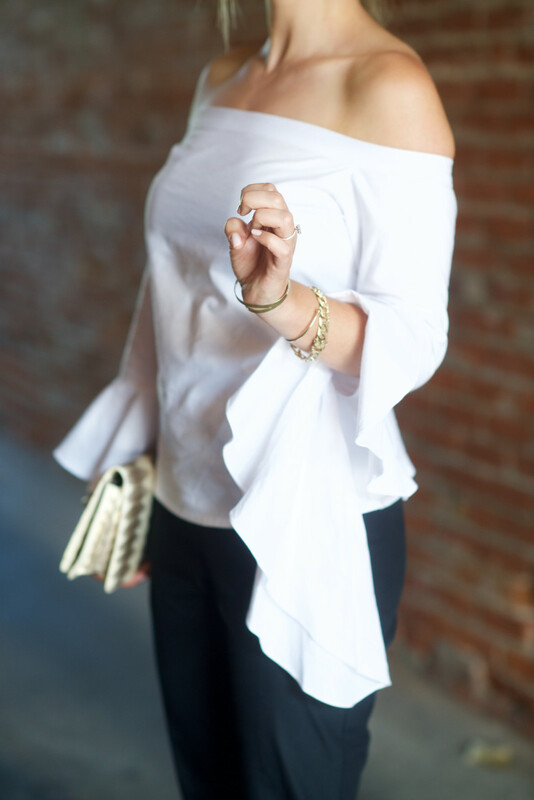 Plus, the fact that it&apos;s off the shoulder means its more modern and alluring than stuffy (a la Seinfeld status). With a few edgy details like a red matte lip and a snakeskin clutch, it was just the thing for a creative meeting downtown, followed by a cocktail with a friend.